WAC Lighting Area light uses one 90 CRI 3000K 5.8-Watt LED lamp for offering 150-Lumens of light output. 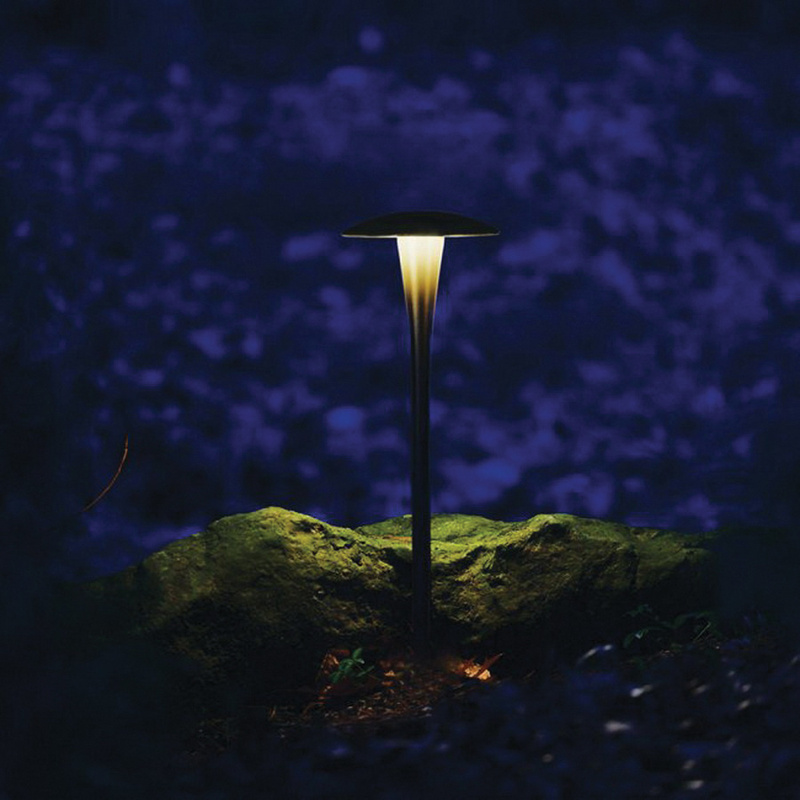 This 5.8-Watt light features aluminum construction and bronze finish. It has voltage rating of 9 - 15-Volt AC. It measures 7-1/2-Inch Dia x 22-Inch. This light with frosted glass shade, has average life of 60000 hours. It comes with mounting stake, 6-ft lead wire, and direct burial gel filled wire nuts. Light is UL listed.